Dieters are encouraged to stay focused by signing up for the Skinny Body Care 90 Day Challenge. This will also enable them to share their results with other users of the product, gain them a free T-shirt, and the chance to win a $1,000 prize. Fat is there for a reason. Fat protects the organs, regulates the hormones and a lot more besides. The body needs to healthy enough to not need that extra fat to protect it. Until your body is confident enough that it is going to survive without that extra fat, losing weight is almost impossible. So it would seem that confidence is no longer a state of mind, but of the body. When it comes to dietary supplements though, nothing build confidence like real information about how the product works, why it works, and some proof that it really does work, but Skinny Body Care devote more time to pushing their affiliate program. Skinny Fibre is an appetite suppressant. The capsules are taken twice a day, half an hour before a meal (should be the two biggest meals of the day), with plenty of water. The recommended dose is two capsules, but the manufacturers state the dose may be increased to three capsules (twice a day), if required. Appetite suppressants can be extremely effective with the right set of ingredients. Reducing your calorie intake on a daily basis to an acceptable level is the real cornerstone of weight loss. The official website contains no information about the chosen ingredients, but the company’s Facebook page mentions two of them, and a little further online research reveals a third ingredient, but it impossible to find any information about the inclusion rates. As it to be expected, the official website’s testimonials page contains several positive testimonials. One user claims to have lost 11kg. in 9 weeks, and another states Skinny Fibre helped her slim down from a size 10 to a size 6. 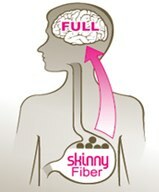 According to the Skinny Fibre Facebook page, no side effects have been reported, but some independent reviewers state they had unpleasant reactions to the capsules, and the known issues with some of the ingredients offers little peace of mind, so pregnant and nursing mothers are advised against using the product. The same advice is offered to anyone who has known heath problems. Visitors to the official website should find it easy enough to join the Skinny Fibre affiliate program, but will find barely any information about the product itself. This isn’t good enough; people have a right to know what they are putting into their body. The fact that some consumers have already had negative experiences with the product is also a cause for concern, and the manufacturer’s statements about the body “needing the confidence” to lose weight send their credibility flying out the window. Skinny fibre cannot be recommended. Many better options are available. 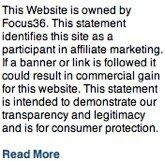 Consumers who do not have a referral number may find it near impossible to make a purchase from the official website. Some third-party sites stock the product, and it is also available on Amazon and eBay, but some consumers have voiced concerns about the legitimacy of such products. Skinny Fiber is not available to pharmacy’s such as Pharmasave, Priceline or Terry White. One of the products we recommend over an above Skinny Fiber is PhenQ – a combination appetite suppressant and fat burner that can help user rid themselves of surplus body fat in a quick, safe and controlled manner. 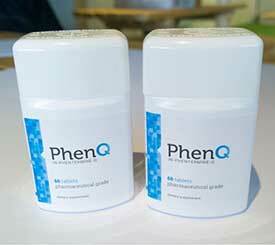 PhenQ is a strong formula that has taken the best natural and pharmacy grade ingredients and turned them into quite possibly the well know and popular commercial diet globally. This entry was posted in Non Prescription Diet Pills and tagged Skinny Body Care, Skinny Fiber Australia, Skinny Fiber GNC, Skinny Fiber NSW. Bookmark the permalink.